CompactPCI combines cost effective PCI bus technology with a conventional Eurocard form factor making it suitable for rugged and high I/O count systems. D‑TACQ's products bring high performance data acquisition to the 6U CompactPCI form factor. The large board area of 6U allows us to pack high channel density - up to 96 channels - together with high grade application specific signal conditioning on a mezzanine board into one slot. The long front panel edge allows easy signal connection from the plant via standard D-Types and Lemos, together with front panel external clock and trigger ports and clearly differentiated status LEDs. At the same time, the boards may be located in extremely compact horizontal mount enclosures, such as the one shown. 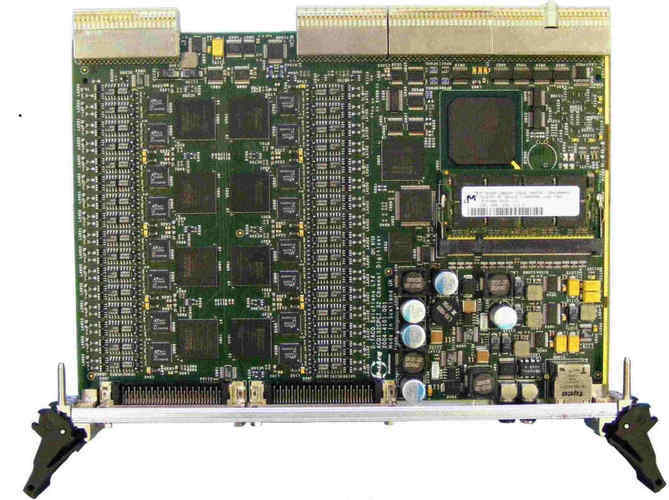 D‑TACQ's 2G boards are able to operate standalone, enabling deployment of very compact systems in 2 slot 1U and 4 slot 2U chassis. The latter chassis is smaller than comparable chassis for 3U boards, and by using D‑TACQ digitizers, more channels can be deployed in this smaller volume; in addition the reduced board count can represent a considerable cost saving. Our CompactPCI products are designed to take advantage of many the attributes of CompactPCI technology. D‑TACQ's digitisers have been designed to allow either front or rear panel I/O, with support for PXI compatible clock and trigger routing on the backplane. By utilising a mezzanine board for front panel connections or a transition module for rear panel connections our products can be easily adapted for customer specific I/O or signal conditioning requirements. Our standard 6U CPCI platform consists of a rack mounted chassis and high performance Pentium SBC. This platform comes as standard with a dual 10/100 Ethernet interface and can be deployed in a diskless environment or with a local disk in a conventional system. Up to 7 digitisers can be fitted to a single 8 slot chassis allowing up to 224 channels to be fitted. Space saving 4 slot and bridged 14 slot chassis, are also available. 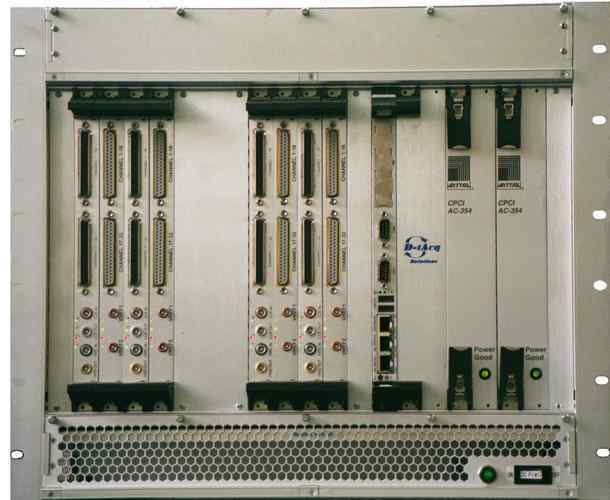 For example, nearly 1400 channels can be accomodated in a 14 slot chassis using ACQ196CPCI. But for cabling reasons, it may be more practical to deploy in small units; here the stand alone capability of the ACQ196CPCI and other 2G products make this a cost effective option. 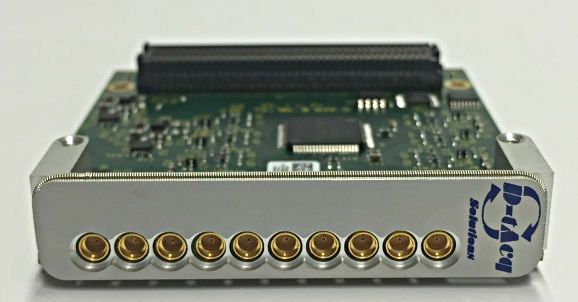 Use of the PXI signaling lines means that, for example, a single clock can be input on one opto-isolated front panel connector and routed via the backplane to ensure that sampling on all the channels in the chassis is absolutely simultaneous. Flexible operating modes mean that the Analog Input, Analog Output and Digital Output functions can all operate concurrently, from the same, or independent clocks and triggers.